Make planning a meeting in Greater Des Moines easy! 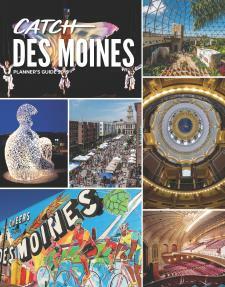 Work with us and utilize our free, Catch Des Moines Planner’s Guide. Whether you are planning an event for 10 or 100,000 people, we can help bring your ideas to life! Use this guide to find information on Des Moines hotels, meeting and event facilities, local services and suppliers, transportation and things to do in Greater Des Moines. CLICK HERE to view the latest issue or request a hard copy below.